10,000-production run Collector's Edition announced for North America. 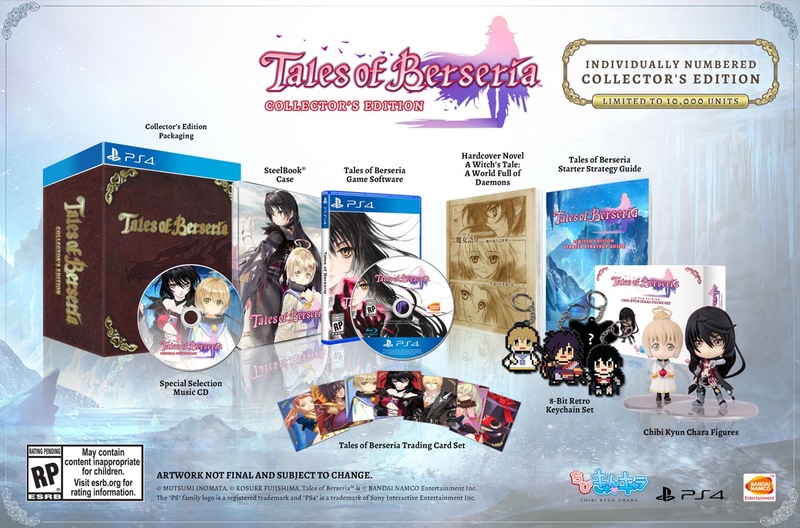 Tales of Berseria will launch for PlayStation 4 and PC on January 24, 2017 in the Americas and January 27 in Europe, Bandai Namco announced. The collector’s edition is now available for pre-order at participating retailers such as Amazon. Tales of Berseria launched for PlayStation 4 and PlayStation 3 in Japan on August 18.